Interactive Denmark organizes and collaborates with events relevant for developers in the field of games, XR, and other interactive products. Check-out the event calendar below for events in Copenhagen, Aarhus, Viborg, and Aalborg. Funday Factory, Filmby Aarhus and Create Converge are happy to announce the conference Digital Kids Today. Digital Kids Today is a full day conference that focuses on kids as digital media consumers. The purpose of the conference is to share knowledge and insights while creating a foundation for networking and business development across creative industries – national as well as international. This year’s conference sheds light on bridging digital and physical play & IP’s and how to monetise brands. It’s time for the annual Game Dev Date Night in Ideas Lab! In need of artists, devs, sound designers, producers or the like to accelerate your production? Then here is your chance! At Date Night you’ll pitch your project and be able to find the resources you need. Bring your own 4-minute slideshow to present. – Which skills are you looking for? Afterwards, beer and pizza are on us – remember to sign up, so we know how much food to order. AI holds the potential to revolutionize game experiences, yet we are still struggling to make computers play games as well as humans. 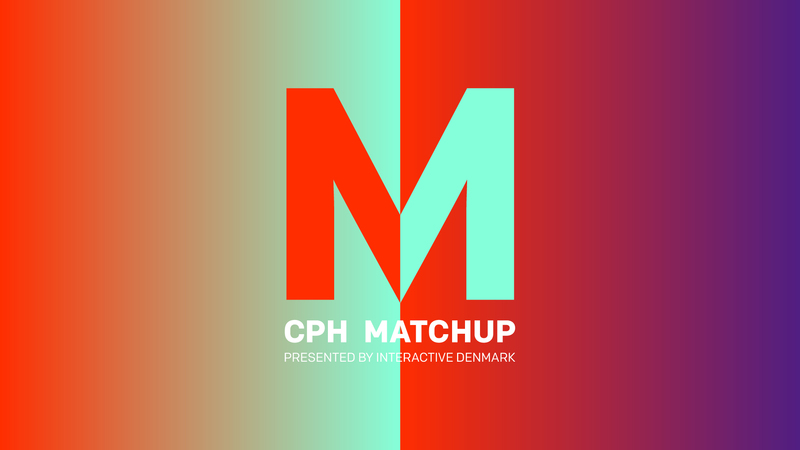 For this SpilBar we have invited a handful of Danish developers to share how they experiment, work, play and screw up with AI. And perhaps resistance is not only futile but also fun. As always, we encourage you to showcase your own games. Sign up here before April 30th. 16:35: Emil ‘AngryAnt’ Johansen: I AI and so can you! Emil ‘AngryAnt’ Johansen: I AI and so can you! Like so many other titles and terms, Game AI means different things to different people. In this presentation I am going to describe my angle, operating in the field, and give some concrete examples of designs and solutions. Expect great tales, myth assassination, abstract implementation decisions, and enlightening illustrations. I got into game development as they provided a much more interesting AI play pen than just files and terminals. This took me to through a bunch of studios to partnering up with friends at Framebunker – with heavy community engagement on the side. Not one to shy from challenge, I enjoy team dynamics and building creative tech. In this talk we will go through some of the thoughts and process we went through when developing the AI for the action-stealth game ECHO, which features enemies that learn from the way you play the game. We’ll share thoughts on how we put the AI systems together, how we iterated on it and other aspects of the game to make it exciting to play against and how this shaped the levels and interactions of the game. Morten Hedegren is a Game Designer at Ultra Ultra, where he worked on ECHO. Before that he’s worked at game studios such as IO Interactive and Playdead, and amongst other things has worked on multiple titles in the Hitman franchise. Robin Malm is a programmer at Ultra Ultra and is part of the small team of eight people who made ECHO. Before Ultra Ultra, Robin studied at The Game Assembly and had an internship at Southend Interactive where he was part of the release of Sacred Citadel. With Forgotton Anne we’ve created our own state-based system to implement most NPCs in the game. It had to be able to accommodate an AI companion, easy for for designers to use and experiment with, and modular in nature to adapt to changes in the production. Hear some of the challenges we ran into not least owing to the art style of the project, and our solutions to them. Alfred Nguyen is the CEO at ThroughLine Games and the creative director of Forgotton Anne (launching May 15th). He has a background in animation films and has directed a number of award-winning games and short films. 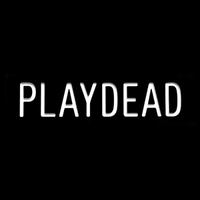 18may15:0021:00SpilBar: Publishing15:00 - 21:00 Ideas Lab, Filmbyen 19, 2 sal Event Organized By: Interactive Denmark Vest & Ideas Lab Event Type :Spilbar Event type: About SpilBar SpilBar is a bimonthly event, where everyone in or close to the computer games industry can meet and mingle. The meetings always start with a talk and end with a drink. SpilBar is initiated by Kristine Ploug from DADIU, and Thomas Vigild, Headmaster at Vallekilde Game Academy. SpilBar is organized in collaboration with Spilordningen and Interactive Denmark. It’s a jungle out there, but together we can find some sense in the world of Publishing! This Friday, we will also celebrate two Ideas Lab Game Teams: Atlaga and Random Dragon who’re launching their first games, and you’ll be able to see/play the final versions, and congratulate the teams (and hug them)! Level up your negotiation skills! Worried about signing a bad deal? Don’t know what your value is? Not sure when to walk away? We will tackle those questions and more on May 28th, when we kick off the Art of the Deal Growing Games workshop. Negotiating with experienced investors, publishers or clients can be a challenge, even for mature developers. At this workshop we will look at both tips and tricks from the trenches of game development negotiation, as well as perform a series of exercises and mock negotiations to ensure you get hands-on experience – giving you a stronger position when negotiating your next contract. During the day, we will hear from Reto-Moto CEO Jean-Marc Broyer, who will draw on his experience from companies such as UBISOFT, EA, WARNER BROS., and AMAZON; outlining the pitfalls of negotiations in the games industry, and the view from both sides of the negotiation table. Robert Jønsson, partner at Integra Law, will give an introduction to the practicalities of contract negotiation, and take us all the way form first contact to signed contract. In addition to this, the workshop will feature a number of exercises and mock negotiations to make sure that participants get to try and utilise their new knowledge, and get better at analysing the negotiation situation. The workshop is aimed at both start-ups and more mature studios. With many years of experience in the games industry from companies such as UBISOFT, EA, WARNER BROS., and AMAZON, Jean-Marc will share some of the tips and experiences from his many years in the field. Having been at “both sides of the table” Jean-Marc is able to bring a unique perspective to the negotiation situation as seen from the side of both the developer and the publisher/investor. One of the most experienced lawyers in Denmark, when it comes to publisher and investor contracts in the games industry. With a specialty in both games and start-ups Robert will talk about the practicalities of negotiations and the journey from first contact to signed contract and all the pitfalls in between the two. For this SpilBar, local developer Tim Garbos curates microtalks about things that didn’t make the cut. When looking at a finished game you never see all the things that didn’t make it. – Jo-Remi Madsen from Norwegian D-Pad Studio, the creators of the critically acclaimed Owlboy. – Oskar Stålberg from Plausible Concept who just released Bad North for consoles. Short case study about how things you choose to cut can actually create more job for somebody else on the team. – Sara Casén – CEO & producer at Swedish indie studio Midnighthub who recently released the puzzle mystery Lake Ridden. What to prioritize and what to cut, both at Early Access launch and during the continuous updates. 21sep13:3016:00Growing Games: Hack your audience13:30 - 16:00 Børsen - At Dansk Erhverv, Slotsholmsgade, København K Event Organized By: Growing Games Event Type :Growing Games Event type: Growing Games is new knowledge. 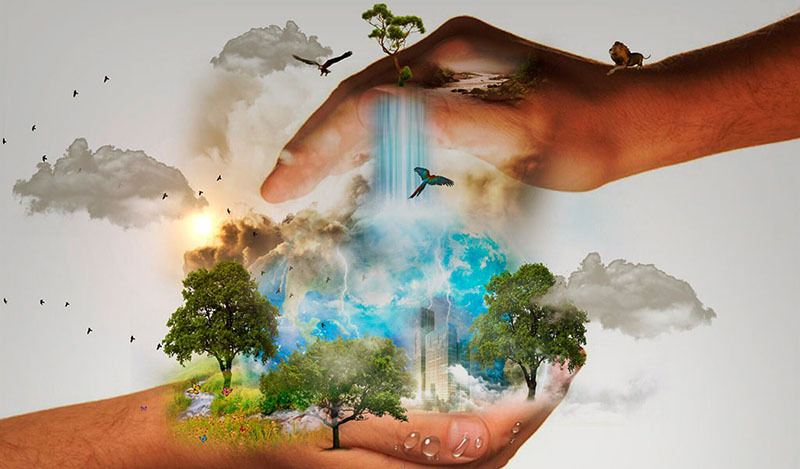 We provide you with knowledge, inspiration – and a handshake with the person, who can help master your challenges. Growing Games is the place, where leaders of game studios meet experienced people, experts, advisors and each other to talk games business. A Network Worth Entering The theme of the single event defines wether is relevant for you. The core target group of Growing Games is leaders of Danish game studios. Nobody is too old to learn. In 2018 Growing Games will - Be the industries place to learn new games business insights - Work truly internationally: If we want to raise the bar for the Danish game industry we need to broaden our perspectives. In 2018, we will continue to invite international speakers and key guests. The guests could be publishers, investors or business developers from the game industries in other countries. What is a game without players? Probably not a very good business. At this Growing Games we are going to talk about your audience, and how to grow it as fast and effective as possible. We will cover both the more traditional audience recruiting known from Free2Play and casual games, as well as more untraditional methods used in the pc and console market. At this workshop, you will learn how to exploit new openings and movements in the market to recruit new players and customers for your game. You will get the latest insights form some of the foremost experts in the business, and be able to expand your network in the games industry. Alexandru Manole, CMO, Co-Founder at TakeOff22 – A brand new company made up of some of the sharpest minds, when it comes to mobile user acquisition. Søren Lundgaard, CEO & Co-Founder at Ghost Ship Games – Makers of Early Access success, Deep Rock Galactic, on pc and Xbox One. Who should attend? Both start-ups and more established studios working in either mobile games or Games as a Service (GAAS) on other platforms. Participation is free, but signup is required. Use this link to register. – Work truly internationally: If we want to raise the bar for the Danish game industry we need to broaden our perspectives. In 2018, we will continue to invite international speakers and key guests. The guests could be publishers, investors or business developers from the game industries in other countries. Games Week Denmark 2018 was a great success, but we also believe, that we can make it even better together. 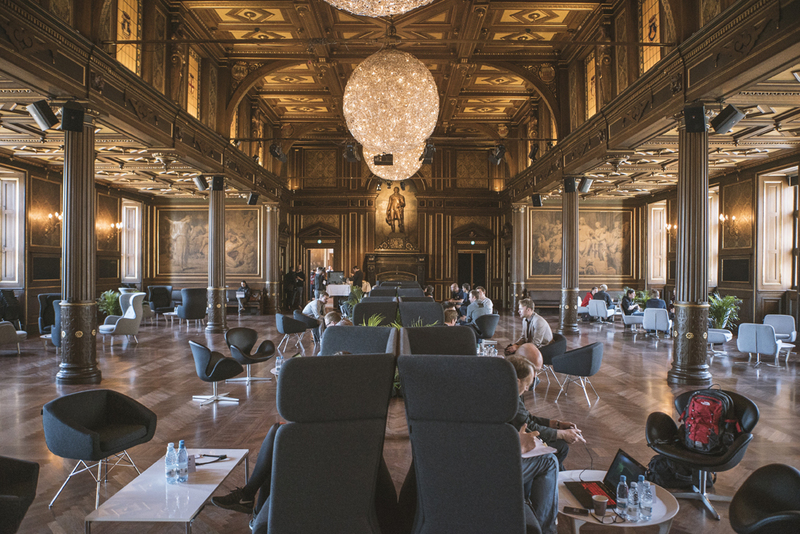 The Danish games industry is growing, and there is a lot going on all over the country that we can showcase, develop and create more business from. Taking from the great feedback from you The GWDK organizers (Danish Producers Association, Interactive Denmark, and Nordic Game Jam) would like to invite you to a meeting to discuss the future of GWDK. 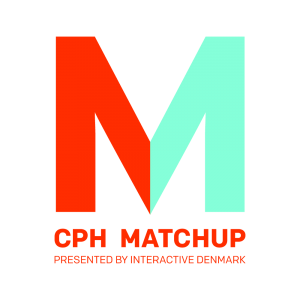 All previous event holders and others with an interest in the Danish games industry are welcome. As part of the meeting, Interactive Denmark and the Producers Association will also give a presentation on the current political situation in regards to the Danish games industry. 16:00 Games Week 2019 – a discussion and brainstorm on both content and framing. What have we learned from the previous two years? What should Games Week 2019 look like? Who can contribute and with what? 17:00 Farewell reception for Sofie Filt Læntver. GROWING DIGITAL WORLDS er målrettet ledere i etablerede virksomheder, der arbejder med digitale universer, med ambitioner om at udvikle og styrke deres forretning. Forløbet henvender sig både til virksomheder som deltog sidste år forløb og nye som ikke tidligere har været med. 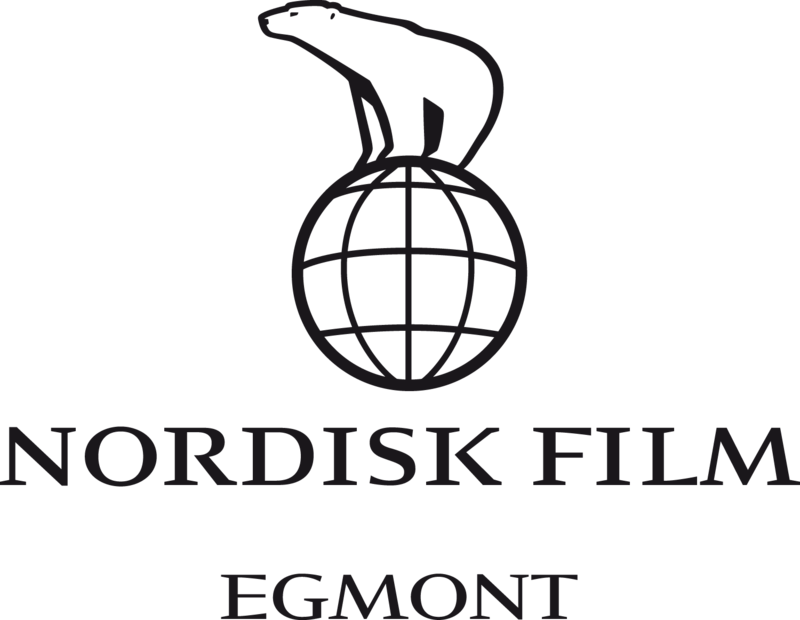 Med Growing Digital Worlds får du inspiration og et stærkt netværk blandt virksomheder, der arbejder på tværs af film, serier, animation, spil og andre digitale universer. Samtidig får du lejlighed til at møde skarpe profiler i og uden for den digitale indholdsproducerende branche og udbygge dit professionelle netværk. GROWING DIGITAL WORLDS blev gennemført for første gang i efteråret 2017 og udbydes nu for anden gang. Forløbet har til formål at udforske de forretningsmæssige spilleregler for virksomheder, der lever af at udvikle digitale universer, og klæde dig, som deltager, bedre på til at udvikle din virksomhed og dit univers. Gennem forløbet vil du derfor blive både inspireret og bedt om at udforske, udfordre og udfolde de spilleregler, der gælder. GROWING DIGITAL WORLDS bliver gennemført i efteråret 2018. Forløbet består af tre sessioner, hvor den første vil ligge i oktober og det samlede forløb strække over to måneder. Alle sessioner foregår i tidsrummet kl. 12.30 -17.30 og vil blive afholdt i Aarhus. Til denne session udforsker vi hvilke veje, der er til at udvikle og vokse din forretning særligt gennem international finansiering. Vi fokuserer både på eksisterende finansieringskilder og nye måder at gribe vækst an. Digitale universer kan hente sin finansiering fra en lang række af kilder, idet de tapper ind i flere brancher, platforme og teknologier, men hvilke er relevante i forhold til forskellige typer af projekter og hvordan laver man en finansieringsplan, der fungerer som styringsredskab i det indledende fase af projektet. Det er nogle af de emner vi dykker ned i på den første session. Du kan møde Nina Bisgaard fra Meta Film, der har stor erfaring med at skaffe international finansiering til diverse film- og tv-produktioner. Som en del af forløbet tilbydes alle virksomheder individuel sparring af en vækstkonsulent fra Væksthus Midtjylland. Den individuelle sparring sker som en integreret del af sessionerne. GROWING DIGITAL WORLDS er målrettet ledere af virksomheder, som udvikler digitale universer, med ambitioner for deres forretning. Hver virksomhed kan deltage med 1-2 personer på ledelsesniveau. Forløbet er gratis for din virksomhed. Tilmeldingsfristen er fredag d. 14. september. GROWING DIGITAL WORLDS udbydes af Interactive Denmark i samarbejde med More Creative og Region Midt. Forløbet faciliteres af Seismonaut, der har speciale i forretningsudvikling inden for de kreative erhverv. Tilmelding og spørgsmål om forløbet kan rettes til Regitze Mai Møller fra Interactive Denmark på remm@interactivedenmark.dk. Der er maksimalt er 15 pladser på forløbet. Deltagerne screenes og udvælges af Interactive Denmark og Seismonaut. Du har en plan, men når digitale universer skal udvikles og realiseres på tværs af platforme og produktioner er evnen til at indgå i strategiske samarbejder og partnerskaber et helt centralt aspekt. Det gælder både i forhold til det kreative og det kommercielle. Hvad skal man være opmærksom på når man indgår i tværmediale partnerskaber, og hvordan gør man sig attraktiv over for og finder de rette partnere – både herhjemme og internationalt? Vi tager turen fra ideen til færdigt produkt og får et indblik i processen med de udfordringer og valg der er blevet truffet undervejs. Hvad sker der i samarbejdet på tværs og kan det inspirere til nye måder at producere og realisere digitale universer på. Her kan du blandt andet møde René Jessen fra Character (The Gnomes), som deler ud af sine erfaringer med at arbejde med et stort tværmedialt univers. How do you break into the Asian market? The Chinese games market alone is already the biggest in the World, and it’s showing no signs of slowing down. The latest numbers project it to reach $42bn in revenue by 2022. And with the recent uptake of pc games, China is as important as ever, for both mobile and pc/console developers. At this Growing Games, we will be looking at the current situation in China and Southeast Asia, what to expect in the coming years, and how you go about getting into and doing business in the Chinese market. Helping us is Lisa Cosmas Hanson and Daniel Ahmad from Niko Partners – specialists in market research and market-entry strategies for video game industry companies looking to expand or initiate market share in China and Southeast Asia. They will give an update on the latest numbers, as well as share their predictions for the market in the next 1-2 years. I addition to this, we will also have Christine Thaarup with us, to talk about the practicalities of doing business in China, and what cultural differences one should be aware of. 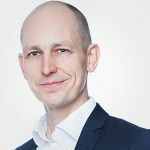 Expert in doing business in the Chinese market combined with a solid experience from the games industry as part of IOI in Copenhagen, Eidos Shanghai and Square Enix in London and Tokyo. Recently helped the Danish games indsutry to be part of Beijing Design Week. 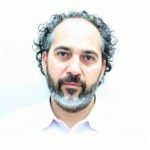 Founder of Niko Partners, who during the last 16 years has established themselves as the Worlds leading experts in primary market research and market entry consulting in China for video games and game consoles. På den sidste session vender vi blikket mod kunderne og kunderelationen. Vi skal udforske hvordan din virksomhed kan navigere i krydsfeltet mellem kreativ udvikling og markedsmæssigt fit mellem dit univers og dine fans. En ting er, hvordan man selv forestiller sig at ens univers/produkt bliver modtaget og skaber værdi for brugeren. Noget andet er, hvordan det rent faktisk bliver modtaget og opfattet. Hvordan bruger man den indsigt til at skabe en tættere relation til brugerne og opbygger et community omkring sit digitale univers. På sidste session kan du møde Niels Wetterberg, CEO i Investigate North som bl.a. står bag Cloud Chamber og Aporia: Beyond the Valley. 22nov16:3019:30SpilBar 39: Just a game, eh?16:30 - 19:30 Bio Asta, Cinemateket - DFI, Gothersgade 55 Event Organized By: Interactive Denmark & DADIU Event Type :Spilbar Event type: SpilBar are informal, cozy, informational networks meeting in the Danish game industry. Hosted by DADIU, Interactive Denmark, Vallekilde Folk High School and The Danish Film Institute. In two words: rock on! Attendance is free, and there is no sign-up required. SpilBar 39: Just a game, eh? How do we tackle moral dilemmas in video games? How do we leave our players both disturbed and satisfied at the same time? And how do Art and Design departments can learn and benefit from each other to deliver unique experiences? By looking at the curious cases of ‘This War of Mine’ and ‘Frostpunk’ we’ll dive into the world of hard choices, dark moods and moral dilemmas in a pursuit of the light of hope for our industry. Jordan Erica Webber is a writer and presenter. Host of the Guardian’s digital culture podcast Chips With Everything, video game critic for the Guardian, and resident games expert for both The Gadget Show (Channel 5) and RATED (Forces TV). Currently featured in the V&A exhibition Videogames: Design/Play/Disrupt and author of Ten Things videogames can teach us. SpilBar 39 is sponsored by Interactive Denmark and The Danish Film Institute. SpilBar are informal, cozy, informational networks meeting in the Danish game industry. Hosted by DADIU, Interactive Denmark, Vallekilde Folk High School and The Danish Film Institute. In two words: rock on! Attendance is free, and there is no sign-up required. 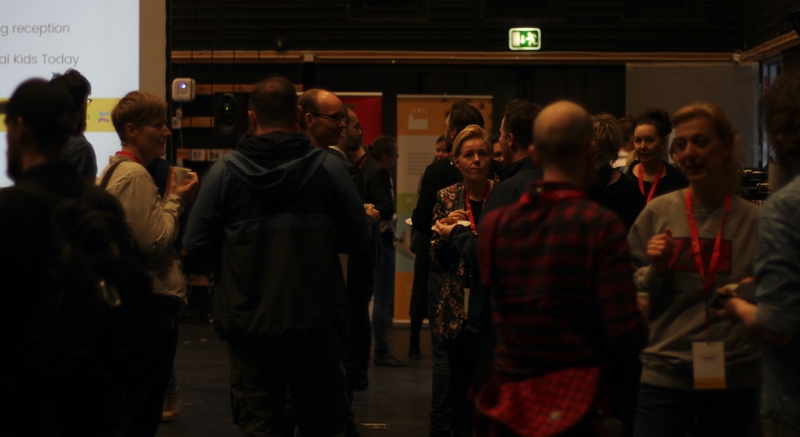 07dec14:0016:00SpilBar: DIY - Marketing for people who'd rather be making games14:00 - 16:00 Ideas Lab, Filmbyen 19, 2 sal Event Organized By: Interactive Denmark Vest & Ideas Lab Event Type :Spilbar Event type: About SpilBar SpilBar is a bimonthly event, where everyone in or close to the computer games industry can meet and mingle. The meetings always start with a talk and end with a drink. SpilBar is initiated by Kristine Ploug from DADIU, and Thomas Vigild, Headmaster at Vallekilde Game Academy. SpilBar is organized in collaboration with Spilordningen and Interactive Denmark. SpilBar invites you to come join us for a session on how to tackle the big, overwhelming task of marketing your game. We’ll start by looking at your Game Studio – your DNA and the values you hold dear, and how to transfer that into a strategy. Speaker of the day is Emil Stidsholt who knows a thing or two about different platforms, tendencies and how to get most bang for buck. He’s been working with studios as Funday Factory, Kiloo and is now with Flashbulb Games. 14mar16:3019:30SpilBar 40: Stories16:30 - 19:30 Bio Asta, Cinemateket - DFI, Gothersgade 55 Event Organized By: Interactive Denmark & DADIU Event Type :Spilbar Event type: About SpilBar SpilBar is a bimonthly event, where everyone in or close to the computer games industry can meet and mingle. The meetings always start with a talk and end with a drink. SpilBar is initiated by Kristine Ploug from DADIU, and Thomas Vigild, Headmaster at Vallekilde Game Academy. SpilBar is currently organized by an editorial group consisting of Thomas Vigild, Jesper Krogh Kristiansen, Mads Maturin, and Kristine Ploug. Join SpilBar’s Facebook group here. Join the mailinglist and receive mails about SpilBar events here. Everybody is welcome and no sign-up needed. The Danish games industry is sprawling with new games. At SpilBar 40 we want to take a look at some of the games, and have the developers tell us their stories and dissect the development process live on stage. Each developer will get 10 minutes and 10 slides to talk about what surprised them, what screwed them, what went well, and what went wrong? And of course, why, oh why? In preparation for Copenhagen MatchUp, Interactive Denmark has teamed up with with Finnish game pitching specialist and executive training expert Walid O. El Cheikh for an intensive 1-day pitching- and messaging master workshop for CEOs and executives, looking to get their communication about their company and projects to the next level. The workshop will teach participant, how to be razor sharp in both their pitching and general communication about their company and project, based on a number of methods and practical exercises. In the end, you should be able to communicate the essence of your product or company in a singe sentence! Deadline for signup is APRIL 3rd. Walid is a pitching coach. He has trained thousands of people from students and researchers to CEOs and Ambassadors.